High-stakes, high-speed, and—at times—high-stress, the workings of the world of law are supported by the efforts of paralegals and legal assistants. 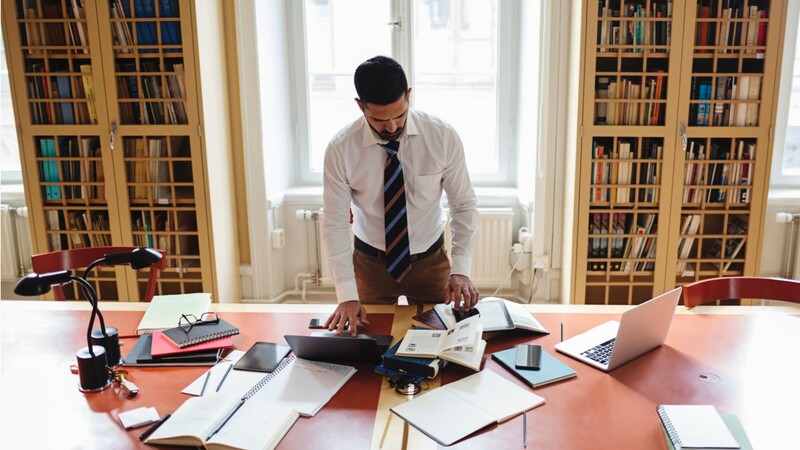 These law professionals help lawyers prepare for hearings and trials, draft documents, and coordinate electronic materials, such as emails, accounting databases, and websites related to a trial or investigation. They gather case facts and dig into related laws and regulations, write up reports, and schedule meetings and interviews with witnesses, lawyers, and others. Not all paralegals work with trial lawyers … Corporate paralegals help prepare employee contracts, shareholder agreements, and financial reports. They stay current with regulations to give up-to-date information. Paralegals also specialize in areas such as criminal law, intellectual property, immigration, and family law. Most paralegals work for law firms. Some are employed in government or the finance and insurance industries. In small firms, paralegals’ have more varied duties and their work lasts the duration of a case… while in large firms, paralegals may focus on a particular phase of a case. Most paralegals and legal assistants work full time in an office environment, adding overtime to meet deadlines. They may occasionally travel for research or preparation for trials. Most employers prefer applicants who have an associate’s degree in paralegal studies, or a bachelor’s degree in another field, sometimes with a certificate in paralegal studies. See more details at O*NET OnLine about paralegals and legal assistants. Paralegals & Legal Assistants by U.S. Department of Labor, Employment and Training Administration is licensed under a Creative Commons Attribution 4.0 International License.